Catch our SCRIP team outside the Library every Wednesday morning and afternoon! Scrip gift cards are gift cards that you buy at face value. Latimer HSC receives a rebate through the Scrip company and that is how we earn money to put towards activities and events for our community! 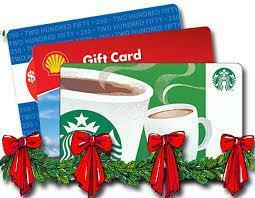 Each gift card has a different rebate amount - ranging from 2%-20% that we earn when you shop! This is an easy way to help raise money for our school, at NO EXTRA COST to you! Scrip gift cards make excellent gifts for birthdays, graduations, and special occasions! Or, you can use them for yourself at Safeway, Arco, Target, Gap, Starbucks and more! To buy Scrip online, please register at www.shopwithscrip.com (Latimer HSC enrollment code is 161284D11632). Scrip orders can also be placed with an order form which is available at the office. Orders take about one week to fulfill. We will contact you when your gift cards are ready for pick up. Any questions, please email us at latimerscrip@gmail.com.